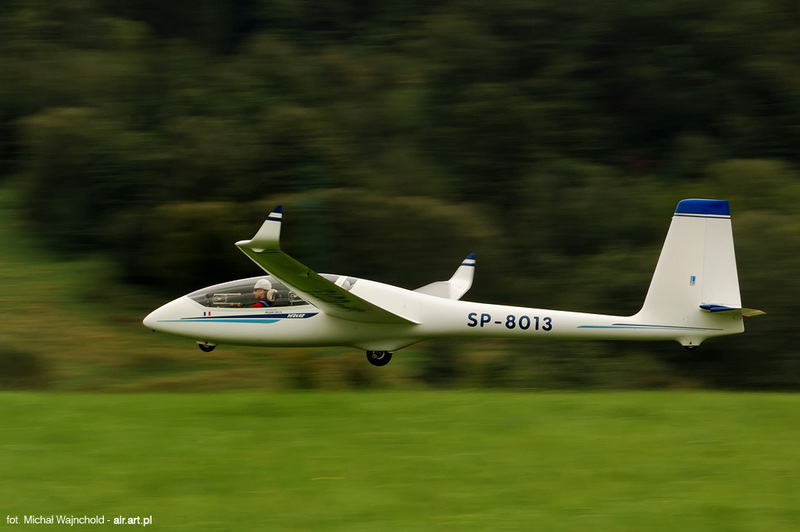 One of the most popular two-seater gliders used for training all over the world is (or used to be, to be exact) a Czech made L-13 Blanik. Unfortunately it was suspended by EASA because of cracks in the wings, so in many clubs the basic training equipment remains grounded. The future of the Blanik is uncertain, however aero clubs and soaring schools are urgently looking for available two-seaters. Their first choice is to search for a secondhand glider but the price is comparable with the cost of possible renovation of the Blanik. Moreover, nobody wants to get rid of a two-seater even if it’s not used. This summer, July, 26th to August, 7th, in Torun, Poland, 2nd FAI World Advanced & 14th Glider Aerobatic Championships took place. The pilots weren't discouraged by unfavourable weather conditions. Among the gliders (mainly Swift S-1 and MDM-1 Fox) was SZD-54 Perkoz flown by Denis Hartmann, aeronautics engineer and experienced aerobatics pilot with years of experience, who has trained, among others Erik Piriou, bronze medal winner in Torun. SZD-54 Perkoz was the only two-seater glider, which wasn't created strictly for aerobatics. Hartmann managed to defeat many pilots flying agile Fox or Swift however it was difficult to fit in the box.